We are extremely pleased to inform you that on 14 April 2011 Prof. Grzegorz Domański, Partner and one of the founders of the law firm Domański Zakrzewski Palinka, specialist in civil and commercial law, securities law, privatisations, and domestic and international arbitration, was awarded the illustrious Lesław A. Paga prize. Under the leadership of former prime minister Jerzy Buzek, the award committee operating at the Foundation named after Leslaw A. Paga, creator and first chairman of the Securities Commission, awards this prize every year to prominent personalities serving the country and the economy, dynamic, effective people, with the highest ethical and professional standards. The aim of this award is to promote the professional values needed to shape the Polish economy. The prize-giving ceremony held at the Warsaw Stock Exchange Centre in Warsaw was linked with the awarding of state honours on behalf of President Bronisław Komorowski. Professor Grzegorz Domański was awarded the Krzyż Kawalerski Orderu Odrodzenia Polski [Knight's Cross of the Order of Polonia Restituta], other award winners being Wiesław Rozłucki, Jacek Socha and Ludwik Sobolewski. Professor Domański was an advisor to the Minister of Privatisation (1990-1995), first chairman of the Warsaw Stock Exchange Council, and in 1998-2000 a member of the Political Cabinet of Deputy Prime Minister Leszek Balcerowicz. He also took part in privatisation projects carried out by the World Bank and EBRD in Belarus. 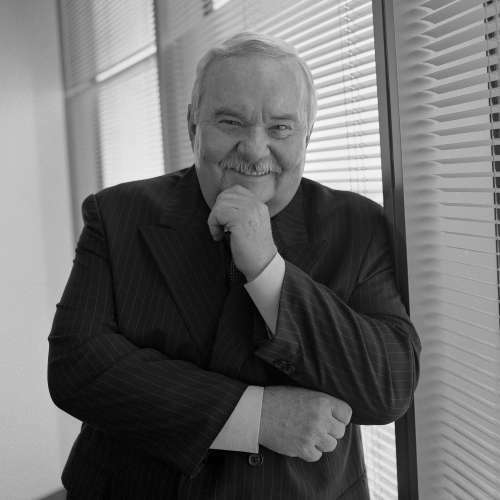 Grzegorz Domański is a professor of law at the Management Faculty of Warsaw University and the first ever honorary member of the Warsaw Stock Exchange. He co-wrote the stock exchange regulations on the trading in securities, the first regulations on foreign investment and privatisation of state-owned businesses, and the code of corporate governance approved in 2002 by the Warsaw Stock Exchange.